The air in your attic is commonly around 140 degrees. Installing an attic ventilation system is one way to reduce the cooling load on your home and enable your existing air conditioning system, or a new air conditioning system, to work better and cost less to operate. 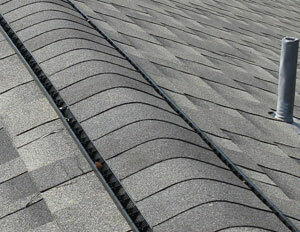 Ventilation of the home attic is important for two reasons. During the summer, excess heat that builds up in the attic during the day results in high energy costs for cooling and excessive waer and tear on your home air conditioning system. Also, moisture produced within the home may move into the attic if ceiling vapor barriers are not used. 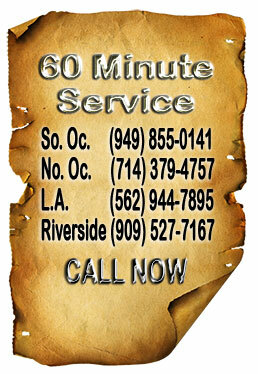 Most homes here in Orange County, Los Angeles County and Riverside County do not have vapor barriers installed. If this moisture is not exhausted from the attic it can condense and cause insulation and construction materials to deteriorate. 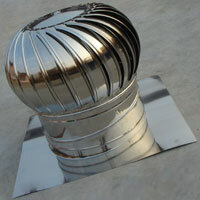 Temperature control and moisture control are the major reasons for providing attic ventilation. 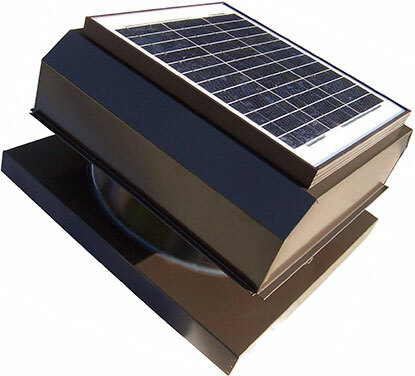 The picture of the roof vent is an example of passive attic ventilation. This is the best way to vent an attic. The one thing you must not do when installing attic ventilation is create a vacuum in the attic. If you creat a vacuum in the attic the air from your home will go right through the dywall ceiling, the cracks and the crevices in the walls and up through the electrical penetrations and plumbing penetrations into the attic. This can take the cool air in your home and replace it with air from around the doors, windows and other exterior areas of your home. Bringing in this air means additional air conditioning and additional dirty air needing to be filtered and cleaned by your home air conditioning system. The picture the the right is the most commonly installed gable attic exhaust fan. 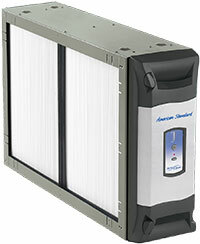 They are inexpensive, but are usually installed very poorly. This one is installed correctly, but where are they getting the replacement air that this fan exhausts to the outside of the attic? Installing one attic fan that is powered is a mistake. You must balance the air coming into and out of the attic to maximize removing the heat without removing the cooling from the home. Another attic fan the same size installed reversed on the other side of the home will accomplish this. 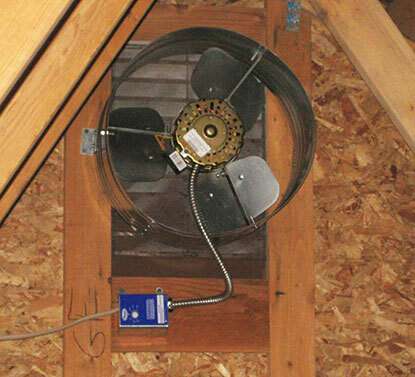 The best method, if this fan is correctly sized for the attic, is install a fan 1/2 this size on this wall and tie the same on-off controls to a second fan of the exact same size as far away as possible that pushes air into the attic. The reduction in static pressure (vacuum is still pressure) in the attic will allow the smaller fans to remove about the same amount of air while only using about the same amount of electricity. We appreciate good hard workers being that we are business owners ourselves. …came right away and got our hot water back again in a very timely manner. They were polite and worked very hard. …professional and courteous. I am very happy with their work.